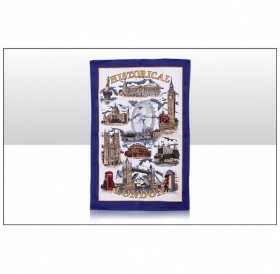 Colourful design 100% cotton tea towel new for 2013, printed with illustrations of the famous London landmarks to include Big Ben, St. Pauls Cathedral, Tower Bridge, Tower of London & the London Eye. 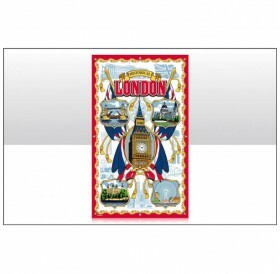 It also has a striking red and gold rope effect border and the wording HI.. 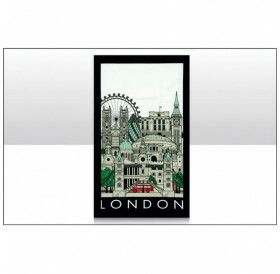 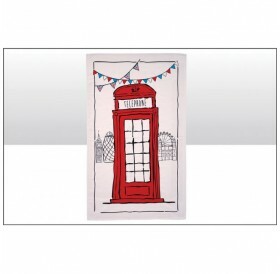 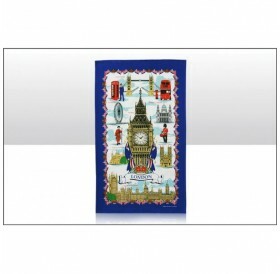 The vivid London Scrapbook Collection is an exclusive design to Elgate Products. 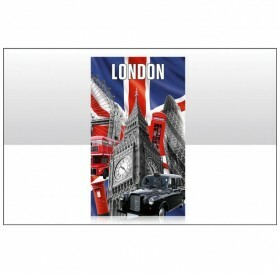 Depicting the Union Jack flag and collage of images from around London, on vivid blue background. 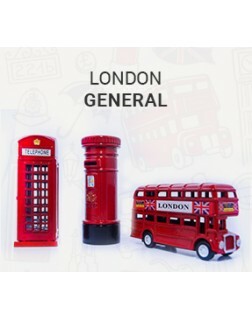 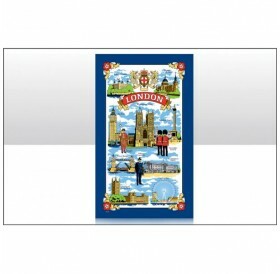 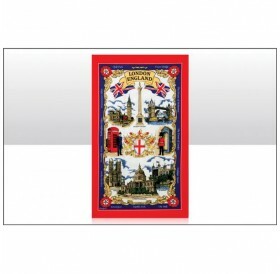 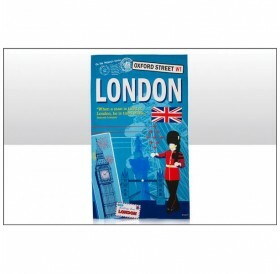 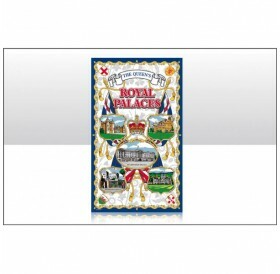 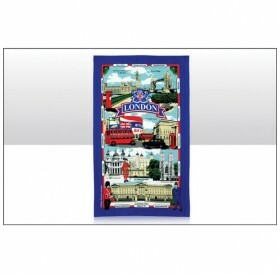 The London scrapbook collection consists of a wide variety of products, branded and appealing to the UK tourist s..